Learning “Great Big Stuff” under the direction of choreographer Sam Burris (lower left). Image, Chip Massie. 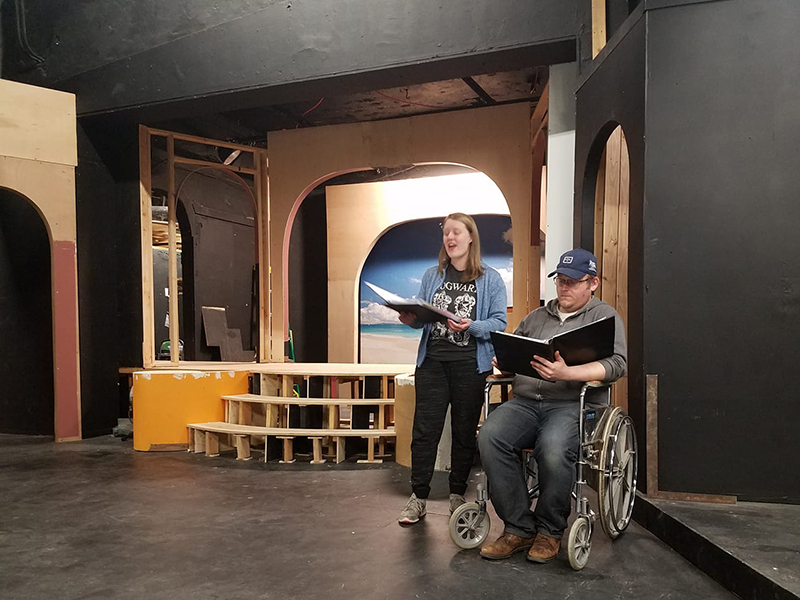 Dirty Rotten Scoundrels The Musical, opens at Linkville Playhouse March 1st, the musical comedy is based on the popular 1988 MGM film, and takes the audience to the French Riviera for high jinks and hilarity. It is a sophisticated and suave tale with a good dash of mischief. The singing and dancing ensemble is: Tori Brooks, Justice Bussard, Ed Joesting, Sierra Kincaid, Renita Larsen, Cory Stamper, and Alex Burris. The play is directed by Charles “Chip” Massie, musical direction is by Dan Crenshaw, and the choreography is by Sam Burris. This hysterical comedy features a delightfully jazzy score by David Yazbek, and a witty book by Jeffery Lane, and was nominated for a staggering eleven Tony Awards. Dirty Rotten Scoundrels The Musical, plays every Friday and Saturday night in March, curtain is at 7:30pm. There will be two Sunday matinees on March 17th and 24th, curtain is at 2pm. Tickets are available at Main Street Jewelers. The Linkville Players, located at the Linkville Playhouse at 201 Main Street in Klamath Falls, Oregon, is the oldest community theater group in the Klamath Basin. 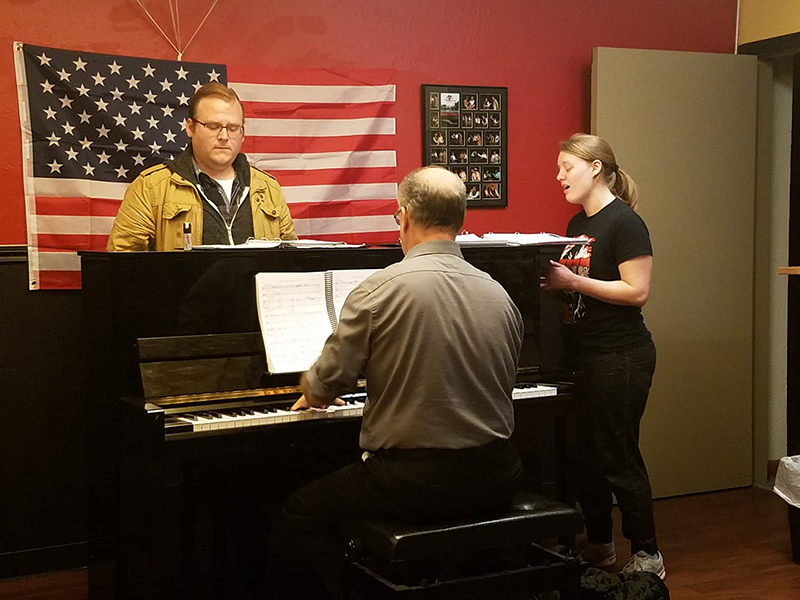 It is an all-volunteer, non-profit organization devoted to presenting an annual season of dramatic productions for the benefit and enjoyment of local residents, visitors to the area, and others interested in theater. Obtain more information at www.linkvilleplayers.org and follow Linkville Playhouse on Facebook at www.facebook.com/linkville.playhouse. Press release provided from the Linkville Playhouse & Klamath County Chamber of Commerce. Local stars act, sing and dance in the 1988 classic, Dirty Rotten Scoundrels. 7:30 PM Evening shows, March - 1, 2, 8, 9, 15, 16, 22, 23, 29 and 30. 2:00 PM Matinee shows, Sunday’s March 17 & 24. $12-15, Available at Main Street Jewelers.